It's been a rough few weeks here in Orcinus's comments threads. As has always happened in the over six years we've been here, big doings by right-wing radicals have brought their defenders and apologists out in droves. This is nothing new, and we're well used to it by now. But something's changed, and I'm hard-put to know what it is. I'm perfectly willing to allow that it may be just me. I'm back in the hard ruts of my Lyme treatment for next few months. Taking high doses of four heavy-duty antibiotics all at the same time is making me tense and tired and a little short with people in Real Life, and it wouldn't be at all surprising to find that showing up in my online interactions, too. Or maybe it's that shift in tone we've all been noticing since the Inauguration. The right-wingers really are wrapped a little tighter these days. And not without reason, given the way the GOP is imploding before their eyes. High-flux situations aren't their strong suit (that's why they're conservatives in the first place), and it's easy to see how they'd be looking for people to take some of that out on. Whatever it is, we seem to be inundated right now. And I'm feeling like our usual policy isn't covering the situation nearly as well as it used to. The policy, by the way, is that we generally let these people have the run of the place unless they are a) making ad hominem attacks and/or b) clearly attempting to disrupt all reasonable conversation, and making no positive contributions, and/or c) are generally annoying enough for long enough that people just have had a bellyful and start complaining. Offenders get two warnings of which rule they're violating before they're bounced. And then they're bounced. I've had to use the "ban" button more in the past month than I have in the past three years. And it's bothering me. Part of what we all cherish about this site is the large, long-established community of brilliant people, who often have incredibly intelligent, wide-ranging conversations about what it means to be American in the 21st century. There's a fine line to be walked between letting potentially disruptive people have their say, and maintaining a safe and welcoming space for the rest of us. So, since it's a weekend and quiet anyway, I'd like to open a conversation with regulars and newcomers about what they'd like to see in our comments threads -- and from me as the moderator of them. How do we raise the level of discourse? 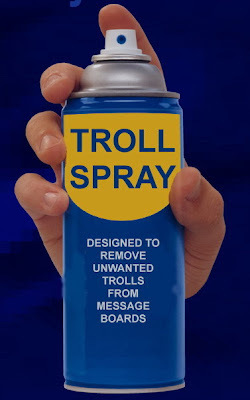 Is there some way to fine-tune our troll-handling policies? Should they be given more rope, or less? Is it time to develop a more coherent set of strategies for dealing with them? We've been here long enough to become a community, and this is a problem that would seem to demand a community solution. Your thoughts welcome. Remember how, a week or so ago, Bill O'Reilly was preoccupied with the idea that the news media had comparatively obsessed over the domestic-terrorism killing of Dr. George Tiller, while "ignoring" the killing of Private Long, a similar act of terrorism? He had numerous segments complaining that the matter proved there was a liberal media bias. At one point, he complained that CNN had "ignored" the story -- a completely meritless charge. At another, he even claimed that the only place you could find any coverage of the case was on Fox. Now, compare that to how Fox has handled yet another horrifying case of murderous extremism: the arrest of Shawna Forde and her Minuteman cohorts for the cold-blooded murder of a 9-year-old girl and her father. Fox simply has ignored the story. There is a single Associated Press story on the Fox website. This AP piece, notably, contains not a single reference to Forde's long history with the Minuteman movement, her close ties to Jim Gilchrist, or the fact that she intended this Minutemen squad to use its ill-gotten gains to "start a revolution against the United States government." Meanwhile, have O'Reilly, or Glenn Beck, or Sean Hannity -- all of them big fans of the Minutemen -- even mentioned the story a single time? No. That's a big fat No. "Talking Points applauds the Minutemen. They are in the great tradition of neighborhood watch groups." Meanwhile, MSNBC has reported dutifully on the matter, though I have yet to have found any news-channel coverage. But those stations didn't accuse anyone of under-covering any stories recently. And there's no question that this is a significant story because it exposes so deeply the twisted nature of the Minuteman movement beneath its "neighborhood watch" facade -- a facade erected with Bill O'Reilly's help. Yet O'Reilly, it seems, can't even live up to the standards he demands his cable competitors meet. Several groups focusing on stopping illegal immigration formed in the past half-dozen years, and many were drawn to southern Arizona, the busiest corridor in the nation for illegal border crossings. "Some are using the movement to promote their own bigoted, racist ideology," said Brian Levin, director of the Center for the Study of Hate and Extremism at California State University-San Bernardino. "But I want to be clear: That's not everyone in the movement, and it poses a real problem." He said the movement's message attracts people with ulterior motives. Larger groups try to patrol their ranks for potentially troublesome people but have no power to stop exiles like Forde from starting splinter groups, and even from using the Minuteman name. After the killings, some of the movement's leaders quickly distanced themselves from Forde and her Minutemen American Defense group, saying they warned for months that she was potentially dangerous. "We knew that Shawna Forde was not just an unsavory character but pretty unbalanced as well," said Chris Simcox, the founder of one of the original border watch groups, the Minuteman Civil Defense Corps. Not that Chris Simcox is in any position to be talking about anyone else being unsavory and unbalanced. But of course, if you watch Bill O'Reilly, you'll never hear any of this. Fear not, though: the impulse to prattle on about "neighborhood watches" and other similarly benign terms for right-wing extremist organizations -- that certainly will remain a constant on The Factor. It's been a wild couple of weeks for those of us in the wingnutology business. Our services have been in tremendous demand as the mainstream media tries to sort out the meaning of what Scott Roeder and James von Brunn did. I've done an average of one radio show every day for the past two weeks trying to help various lefty talkers around the country make some sense of it all; and I'm generally gratified at how seriously people are starting to take this. At the same time, I'm also appalled (though, sadly, hardly surprised) by the conservative mythmaking that's going on around the very serious issue of right-wing domestic terrorism. So it's obviously time to pull together another "Firing Back" piece to give progressives what they need to separate fact from fiction when these talking points start flying. 1. These are just "lone wolf" psychos who are acting alone. You can't hold anybody else responsible for what crazy people decide to do. True and false. But mostly false. It's true that every one of the nine right-wing terrorists who've made the news since January 20 had a history of mental illness, domestic violence, and/or drug abuse. Several were veterans who were having a really hard time adjusting to civilian life. None of these people could reasonably be considered sane; and, for whatever twisted reasons, they made a personal choice to do what they did. But it's not true that they were acting alone. People who are dealing with these kinds of demons are often drawn into movements that offer a strong narrative that helps them make sense of a world that never seems to add up right for them. They're usually drawn into organizations like Operation Rescue or the Minutemen that are nominally non-violent; but which also indoctrinate them into a worldview that justifies and motivates people to commit terrorist acts. They come to believe that they must do this to save the world, to serve God, and to be the heroes they desperately want to be. They're already walking sticks of dynamite. But it takes the heat of that apocalyptic, dualistic, eliminationist, pro-violence narrative to light their fuses and make them explode. Unfortunately, these groups also make it easy to take that final step over the line, because they often have close ties to other more secretive groups that do advocate and plan terrorist violence as a solution. Operation Rescue teaches that killing abortion doctors is justfiable homicide; and then feeds its most extreme members into the Army of God. The Aryan Nations and several other white nationalist groups supplied the nine members of The Order, a racist terrorist group that killed two people (including left-wing talker Alan Berg) and stole over $4 million during a nine-month spree in 1984. Al Qaeda got many of its recruits from the nominally non-violent (but still radical) Hizb al-Tahrir. Of course, when violence actually occurs, these groups always denounce it -- but they also usually have a very good idea of who was involved, because they've been hanging around with the perpetrators for quite a while themselves. One of the things the public is finally beginning to understand is that the "lone wolf" story has never been accurate, because these guys are never really alone in the world. Every one of them was well-marinated in large, long-established subcultures that put them up to terrorism, and promised to make heroes out of them if they succeeded. 2. These terrorists are really left-wingers, not right-wingers. Because everybody knows that fascism is a phenomenon that only occurs on the left. False does not even begin to cover the absurdity of this claim. Fascism has always been a phenomenon of the right. Every postwar academic scholar of fascism -- Robert Paxton, Roger Griffin, Umberto Eco, and onward -- has been emphatically clear about this. Mussolini admitted as much. It's part of the very definition of the word. Jonah Goldberg has gotten a lot of traction on the right for his argument that fascism is somehow a left-wing tendency; but in his badly argued, barely-researched tome Liberal Fascism, he gets here by taking logical leaps that no college professor would accept from the greenest freshman. The worst, perhaps, is the way he conflates "fascism" with "totalitarianism." There is such a thing as left-wing totalitarianism: Stalinism and Maoism both qualify. But they were communist, not fascist, movements. It's only when totalitarianism happens on the right that we call it fascism. Still, this idea has caught on like wildfire, and is being widely promoted by right-wing talkers like Glenn Beck. 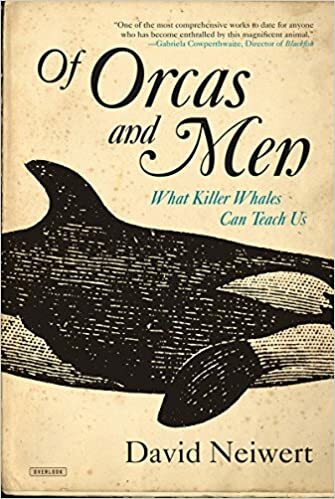 If you want the full takedown on this, I refer you to Dave Neiwert's exhaustive series of debunking articles, which are linked to in the sidebar at Orcinus. 3. Public right-wing groups like Operation Rescue or the Minutemen don't advocate violence, so these acts have absolutely nothing to do with them. Long before they turn dangerous, political and religious groups take their first step down that road by adopting a worldview that justifies eventual violent action. The particulars of the narrative vary, but the basic themes are always the same. First: their story is apocalyptic, insisting that the end of the world as we've known it is near. Second: it divides the world into a Good-versus-Evil/Us-versus-Them dualism that encourages the group to interpret even small personal, social, or political events as major battles in a Great Cosmic Struggle -- a habit of mind that leads the group to demonize anyone who disagrees with them. This struggle also encourages members to invest everyday events with huge existential meaning, and as a result sometimes overreact wildly to very mundane stuff. Third: this split allows for a major retreat from consensus reality and the mainstream culture. The group rejects the idea that they share a common future with the rest of society, and curls up into its own insular worldview that's impervious to the outside culture's reasoning or facts. Fourth: insiders feel like they're a persecuted, prophetic elite who are being opposed by wicked, tyrannical forces. Left to fester, this paranoia will eventually drive the group to make concrete preparations for self-defense -- and perhaps go on the offense against their perceived persecutors. Fifth: communities following this logic will also advocate the elimination of their enemies by any means necessary, in order to purify the world for their ideology. Once people have accepted these ideas as truth, terrorist violence begins to seem like an unavoidable imperative -- and lone wolves, smelling blood, will start to hunt for targets. 4. This is just a minority movement that isn't really capable of changing anything. We don't really need to worry about it. False. And evidence of tremendous denial. According to the Southern Poverty Law Center, the number of hate groups in the US is up 40% since 2000, with nearly 1000 such groups active across the country right now. 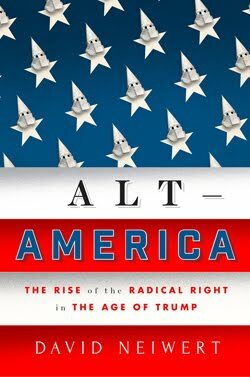 Fueled by bone-deep racism, an unnatural terror of liberal government, frustration over the economic downturn, and fears about America's loss of world standing, they tell us, the militant right is rising again. You can find groups in every corner of the country, incidents of racist violence are rising; and the traffic on far-right websites is up, too. Make no mistake: the right-wing radicals are angry, and there are enough of them out there to do some real damage. As noted, they're far more cohesive and better-connected than they've ever been. And they're only getting started. 5. It's not fair to hold right-wing media talking heads responsible for the things their listeners might do. Advertisers will spend about $50 billion this year on TV ads, and another $15 billion on radio. That's a lot of money. These ads take up roughly one-third of every hour of airtime -- and sponsors pay up gladly, because long experience has shown that broadcast ads are a very powerful way to influence consumer behavior. But this argument asks us to believe that what happens during the other 40 minutes per hour has absolutely no effect on anybody, ever. Got that? Ads: Powerful influences on behavior. Featured content: No influence whatsoever. Absurd. Furthermore: conservatives have railed against Hollywood for decades, claiming that movies, TV shows, music, and videogames are a powerful corrupting influence on the country's morals. They've howled even louder in recent years about Al-Jazeera's perceived negative effect on the political discourse in the Middle East. But when it comes to their own media -- no, no, nothing to see here. Nobody's really listening to us, let alone acting on anything we might say. How could you even suggest such a thing? As usual, they're trying to have it both ways. The religious right came to power almost exclusively on the persuasive (and fundraising) strength of cable TV shows. The conservative grip on the country's red counties is largely attributable to right-wing talk radio and FOX News. Obviously, conservatives strongly believe that other people's media have tremendous power to undermine their preferred narratives; and there's no denying that they've been very aggressive in using it to promote their own worldview for decades. But now they're turning around and insisting that nope -- nobody ever did anything because some talking head told them to. And that sound you hear? Don't worry -- it's just the head of the ad sales department quietly having a stroke because we've completely undermined her ability to ever sell another spot. 6. All that crazy stuff you hear on the right -- you can find the left wing saying things just as bad. They're equally culpable for how bad it all its. False. There is no equivalency whatsoever to be drawn here. It’s absolutely true that the commenters can get just as out of hand on liberal sites as they do on conservative ones. (And most of us who've been hanging around the Internets for a while have the flamethrower scars to prove it.) But the problem has nothing to do with the commenters. It has to do with the opinion leaders who are driving the conversation. On the right, it's actually hard to name a single major voice who hasn’t called for the outright extermination, silencing, harassment, or killing of liberals. Rush. Bill O’Reilly. Ann Coulter. Sean Hannity. Laura Ingraham. Michelle Malkin. Michael Savage. Glenn Beck. Bernard Goldberg, who has been cited by at least one assassin as the inspiration for his actions. Michael Reagan, just yesterday. This kind of eliminationist language is stock in trade on the right. A lot of them literally cannot get through the week without it. And I’m sorry -- but you just don’t hear anything like this same murderous vitriol coming from any of the major voices on the left. Kos’ commenters may engage in that, but Kos himself does not. Nor does Arianna. 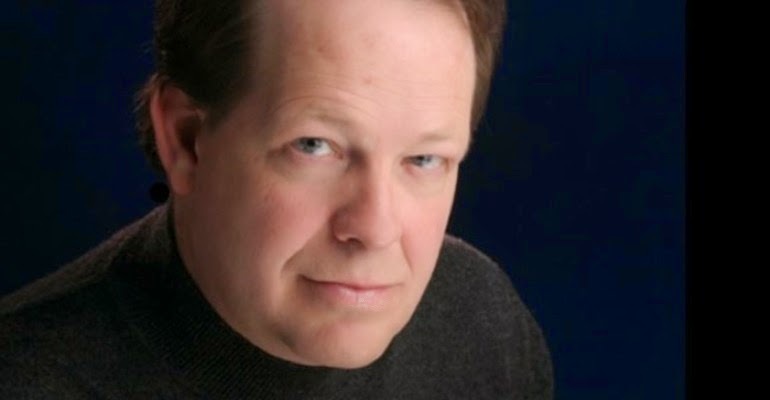 Ed Schultz talks tough, but he's never called for liberals to silence conservatives. Keith Olbermann and Rachel Maddow are flaming liberals — but they would choke on air before actually threatening anyone with bodily harm. Both of them have said repeatedly that they regard that kind of thing as a grossly irresponsible use of a media soapbox. Every reputable left-wing leader or talker wholeheartedly agrees. Furthermore: you don’t see Volvos and Priuses (Prii?) out there sporting "conservative hunting licenses,” despite the fact that "liberal hunting licenses" have been a hot item on the right for years. We’re not the ones driving the huge surge in gun purchases, either. And most importantly: You don’t see us out there shooting up fundamentalist churches, crisis pregnancy clinics, conservative gatherings, or cops. You have to go all the way back to the 1970s to find anything like that kind of overt political terrorist violence coming from the left. But starting in the 1980s, we've had ongoing waves of it coming out of the right -- now including the nine separate violent right-wing attacks on innocent Americans since Obama was inaugurated. 7. "Dial it down?" Don't you mean that you want to use the power of government to forcibly shut up right-wing hate talkers? False. There are a few folks in Congress who tried to gin up support for some kind of legislation -- but progressives should resist this impulse, and denounce it as the shameless grandstanding that it is. We believe in the First Amendment. And if we compromise it now, we're no better than the Bush-era conservatives who were so eager to shred the Constitution when they felt threatened. We are better than that -- or should be. Besides, we've already perfected a tried-and-true method that actually works. Even better: it's grounded completely in conservative free-market philosophy; so if when the right wing starts blustering about it, we get to fire right back and call them out as hypocrites. Big fun all around...and so much more elegant than wantonly trampling on people's civil rights. Short and simple: we take our appeal to the advertisers. We note who the hate talkers are, what they're saying, what date and time they said it -- and then we write letters to the CEOs of the companies that sponsored those shows. Do these people speak for you? Is this the kind of media you want your product associated with? If the answer is no, what do you intend to do about it? Note that this is not a boycott -- just a call for moral accountability. Being associated with hate speech is so bad for business in so many ways that no boycott should be required. It taints the brand. It usually violates the sponsors' own HR standards -- any employee who said that stuff at the office would be canned on the spot. It's horrible PR, especially if some enterprising blogger decides to make an issue out of it. Simply pointing that out has often been enough to convince executives that it's a bad idea, and they need to get out before it blows up in their faces. Don Imus lost his show this way. So did KSFO's Melanie Morgan. (There's even a verb for it -- "spockoed" -- referring to the blogger who used this technique to get Morgan and several other California hate talkers off the air.) It turns out that advertisers actually read these letters -- especially when they're getting them by the hundreds. It doesn't take much of this before they pull back their ads; and when their major sponsors walk away, the talkers lose their shows. They may thrash a little -- but usually, it's all over in a matter of just a few weeks. Note, too, that both TV and radio stations are already losing revenue year over year at a rate that's starting to rival newspapers, so they're probably even more exquisitely sensitive to this kind of pressure now than they were just a couple years ago. If we want these people off this air, this is the way to get them gone for good -- and make the cultural point that this garbage is no longer acceptable on the nation's airwaves. 8. But what you're suggesting is censorship! You're trying to censor free speech! Oh, please. Anybody who argues this with a straight face shouldn't be allowed into a voting booth until they're sent back to eighth-grade civics for a basic refresher, because they apparently know less about the Constitution than the average immigrant who's had to take a citizenship test. Follow me here: "Censorship" is strictly defined as "government suppression of free speech." When citizens appeal directly to advertisers, that's not censorship, because the government isn't anywhere in the mix. It's just the Almighty Divine Hand of the Unfettered Free Market at work, y'all. The sponsors are voting with their dollars -- which, in the conservative free-market utopia, is precisely how it's supposed to work. 9. What about that guy who shot the recruiters in Arkansas -- isn't that proof that the left wing is just as bad as the right? False. I mean: really, really false. Abdulhakim Mohammed's assassination of two military recruiters was an act of Muslim terrorism, no different than 9/11 or the London subway bombings or Richard Reid and his amazing explosive sneakers. He didn't have a pile of Thom Hartmann books in his apartment. There have been no reports that his computer bookmarks linked to Firedoglake and Crooks & Liars. Near as we can tell, Mohammed was radicalized after being held and abused in a Yemeni prison -- and had absolutely no association with the American left at all. Yes, he said that he did it because he protested the war. (I actually fielded a radio caller who insisted that his opposition to the war was de facto proof that he's a raving liberal.) But here's a news flash, kiddos: You don't need to be a progressive to think the war was a bad idea. It may come as a surprise to learn that there are a lot of people in other parts of the world who also think it was a bad idea. An absolutely shocking number of them are Muslims and/or people who've spent time in the Middle East. Go figure. It's a sign of how far detached from reality the right wing is that it no longer can tell the essential difference between Muslim terrorists and garden-variety American progressives. We're not wrong to ask: should people who are that thoroughly blinded by their prejudices be issued drivers' licenses? This is terrorism we're dealing with. We can't afford to let ourselves be distracted by spin. We will not be able to respond effectively until we're able to deal in facts. The sooner we shoot down these myths, the sooner we'll be able dispel fear, think clearly, and start having some real, honest conversations about the actual threats we face. Remember how all those right-wing pundits proclaimed the Minutemen as being just like a neighborhood watch? Michelle Malkin called it "the mother of all neighborhood watches." Lou Dobbs labeled it "this country's biggest neighborhood watch program". Bill O'Reilly declared: "Talking Points applauds the Minutemen. They are in the great tradition of neighborhood watch groups." Accused ringleader Shawna Forde told her family in recent months that she had begun recruiting members of the Aryan Nations and that she planned to begin robbing drug-cartel leaders, her brother Merrill Metzger said Monday in a telephone interview from Redding, Calif.
"She was talking about starting a revolution against the United States government," he said. The accused shooter, Jason Eugene Bush, was charged Friday in the 1997 murder of a sleeping, homeless Hispanic man in Wenatchee, Wash.
"Bush has had long-standing ties to the Aryan Nations," Sgt. John Kruse of the Wenatchee police wrote in a statement filed in Chelan County Superior Court. The Pima County Sheriff's Department arrested Forde, Bush and Arivaca resident Albert Robert Gaxiola on Friday and accused them of killing Raul Flores, 29, and his daughter Brisenia, 9, during a home invasion. Flores' wife was injured during the attack and returned fire, wounding Bush, investigators said. Forde, 41, who has lived primarily in Everett, Wash., was the executive director of Minutemen American Defense, and she had named Bush the "operations director" for the group's border-watch activities along the Arizona-Mexico border. ... Forde's brother, Metzger, worked for the organization at its inception years ago, but he quit, he said, "when it started to get too deep." He and other family members grew suspicious of Forde and started talking to police about her after her husband was shot in their Everett home in December. That's why, Metzger said, he had an audio recorder running when she visited his Northern California home in early May. "She sat right here on my couch and told me that she was going to start an underground militia. This militia was going to start robbing drug-cartel dealers — rob them and steal their money or drugs," Metzger said. 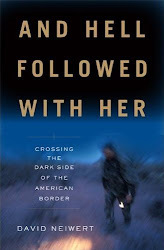 ... Investigators think the May 30 robbery was intended to be the first in a series of such attacks intended to fund the border-watch group and a new venture, O'Connor said. Forde planned on starting a business of helping free kidnap victims in other countries, he said. She also spoke of the venture to her brother, he said. "She was telling me that they were going to start some sort of militia that was going to go overseas and aid and abet those who are kidnapped. She said she was going to go to Syria," he said. This is, after all, an organization that has indicated it intends to expand its purview. And the concept of the Minutemen as a right-wing citizen vigilante force has uses well beyond even border patrols. These endorsements may wind up giving the Minutemen more than their 15 seconds of fame -- and that could be a problem for many years to come. The reality-based picture of the Minutemen that's emerging is not of a friendly "neighborhood watch" for the border, but of a chaotic collection of hatemongers who seem intent on a kind of populist mob rule fueled by angry paranoia. It becomes a cover not for law and order, but for the ugliest kind of brutal authoritarianism. That, in fact, is the face that vigilantism has always revealed eventually, even in Montana. As the history of the vigilantes revealed later, their early "victories" over predators like Henry Plummer soon gave way to a vicious lawlessness in which people were summarily hanged not just for horse theft but for drunken misbehavior or breaking out of a jail. ... You see, vigilantism always claims to be about law and order and preserving "traditional values." It is always, in the end, about the brutal imposition of mob rule without regard to the humanity of its targets. The proof, in the end, lies in the strange fruit it inevitably produces. Remember how the right-wingers screamed and yelled about that Homeland Security bulletin which indicated that white supremacists might be recruiting Iraq war veterans or pushing recruitment within military ranks? Remember how the ensuing hissy fit ended with Janet Napolitano apologizing (for a report that originated in the Bush administration)? Notice how even now, after the report has been proven prescient in its warning about "lone wolf" domestic terrorists, guys like Joe Scarborough are still trying to claim that it "insulted our veterans"? Since the launch of the wars in Afghanistan and Iraq, the U.S. military has struggled to recruit and reenlist troops. As the conflicts have dragged on, the military has loosened regulations, issuing "moral waivers" in many cases, allowing even those with criminal records to join up. Veterans suffering post-traumatic stress disorder have been ordered back to the Middle East for second and third tours of duty. The lax regulations have also opened the military's doors to neo-Nazis, white supremacists and gang members — with drastic consequences. Some neo-Nazis have been charged with crimes inside the military, and others have been linked to recruitment efforts for the white right. A recent Department of Homeland Security report, "Rightwing Extremism: Current Economic and Political Climate Fueling Resurgence in Radicalization and Recruitment," stated: "The willingness of a small percentage of military personnel to join extremist groups during the 1990s because they were disgruntled, disillusioned, or suffering from the psychological effects of war is being replicated today." Many white supremacists join the Army to secure training for, as they see it, a future domestic race war. Others claim to be shooting Iraqis not to pursue the military's strategic goals but because killing "hajjis" is their duty as white militants. Soldiers' associations with extremist groups, and their racist actions, contravene a host of military statutes instituted in the past three decades. But during the "war on terror," U.S. armed forces have turned a blind eye on their own regulations. A 2005 Department of Defense report states, "Effectively, the military has a 'don't ask, don't tell' policy pertaining to extremism. If individuals can perform satisfactorily, without making their extremist opinions overt … they are likely to be able to complete their contracts." Carter F. Smith is a former military investigator who worked with the U.S. Army Criminal Investigation Command from 2004 to 2006, when he helped to root out gang violence in troops. "When you need more soldiers, you lower the standards, whether you say so or not," he says. "The increase in gangs and extremists is an indicator of this." Military investigators may be concerned about white supremacists, he says. "But they have a war to fight, and they don't have incentive to slow down." Tom Metzger is the former grand wizard of the Ku Klux Klan and current leader of the White Aryan Resistance. He tells me the military has never been more tolerant of racial extremists. "Now they are letting everybody in," he says. Following an investigation of white supremacist groups, a 2008 FBI report declared: "Military experience — ranging from failure at basic training to success in special operations forces — is found throughout the white supremacist extremist movement." In white supremacist incidents from 2001 to 2008, the FBI identified 203 veterans. Most of them were associated with the National Alliance and the National Socialist Movement, which promote anti-Semitism and the overthrow of the U.S. government, and assorted skinhead groups. Because the FBI focused only on reported cases, its numbers don't include the many extremist soldiers who have managed to stay off the radar. But its report does pinpoint why the white supremacist movements seek to recruit veterans — they "may exploit their accesses to restricted areas and intelligence or apply specialized training in weapons, tactics, and organizational skills to benefit the extremist movement." In fact, since the movement's inception, its leaders have encouraged members to enlist in the U.S. military as a way to receive state-of-the-art combat training, courtesy of the U.S. taxpayer, in preparation for a domestic race war. The concept of a race war is central to extremist groups, whose adherents imagine an eruption of violence that pits races against each other and the government. And yes, the danger of returning veterans being recruited into extremist belief systems is also part of this picture. Because that recruitment takes on an added edge when those doing the recruiting are also their Army buddies. Joe Conason warned me that people were going to have a hard time saying the title of my book. I guess he was right -- Don Lemon had a rough time of it Saturday night when he hosted me and Fran Townsend, a former Bush administration Homeland Security official, on CNN Newsroom. The discussion did give me a chance to talk about that Homeland Security bulletin and how accurate it was. I did try to see if Townsend could shed some light on when it was commissioned, but we ran out of time. In any event, let me know how I did. Glenn Beck: Who? Me? Spread baseless FEMA concentration camp conspiracy theories? Glenn Beck went on Bill O'Reilly's program Friday night, protesting his innocence after Paul Krugman ably limned the culpability that people like Beck, Bill O'Reilly, and other right-wing yammerers have in raising the temperature of the national discourse to the level that now violent right-wing nutcases are popping off like so much popcorn. Ah yes, the nonexistent "lone wolf" defense. Gee, I guess this means that those suicide bombers in Baghdad and Jerusalem are just "isolated incidents" too, and no one but the bombers themselves are responsible. At least in Beck's and O'Reilly's world. O'Reilly: Well, now, Paul Krugman doesn't feel that way. Exhibit A for the mainstreaming of right-wing extremism is Fox News’s new star, Glenn Beck. 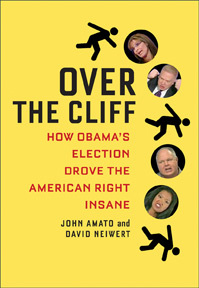 Here we have a network where, like it or not, millions of Americans get their news — and it gives daily airtime to a commentator who, among other things, warned viewers that the Federal Emergency Management Agency might be building concentration camps as part of the Obama administration’s “totalitarian” agenda ... .
Beck: Never said that. Never said that. O'Reilly: But Krugman doesn't care whether you said it or not. It sounds good. Beck: Oh, I know. Never said that. You know, the reason I did that concentration camp thing or that FEMA story was because I snapped on the air one day. O'Reilly: And they couldn't find it. Beck: No, we found what's called the 'prison'. It's an abandoned train depot. O'Reilly: But it wasn't a prison. Beck: It's not a prison. O'Reilly: But it doesn't matter what you say, or what I say. They're going to take it and -- what Krugman wanted to do was he wanted to tell is readers -- who never watch you, by the way, they never watch Fox News either -- that you are accusing Obama of building concentration camps. Well, Beck did indeed run a noteworthy segment that actually debunked the FEMA concentration-camp theories. But it was something akin to running a single correction on A23 for a series of sensationally bannered stories on A1. Just as important, Beck has continually charged that the Obama administration is leading us, as Krugman charged, down the path to totalitarianism. That has, in fact, been the entire theme of his show for several months now. Beck: We don't even understand freedom anymore. We are a country that is headed toward socialism, totalitarianism, beyond your wildest imagination. I have to tell you, I am doing a story tonight, that I wanted to debunk these FEMA camps. I'm tired of hearing about them -- you know about them? I'm tired of hearing about them. I wanted to debunk them. We'll we've now for several days been doing research on them -- I can't debunk them! And we're going to carry the story tonight. ...It is our government -- if you trust our government, it's fine. If you have any kind of fear that we might be headed toward a totalitarian state, there is something going on in our country that it's -- it ain't good. Beck tried a month later to portray himself as fundamentally skeptical of the claims -- but he sure had a funny way of showing it a few weeks before. He also reported it credibly, twice, on his own Fox News program. As he promised on Fox and Friends, he announced on the air that night that "we can't disprove" the FEMA concentration camps story. Now, that's modern media ethics for ya: Broadcast to the world that "you can't disprove" a cockamamie, half-baked and wild-sounding theory, do it several times, and then quietly run a story in fact disproving the theory four weeks later. So, I keep hearing that Glenn Beck fellates Bill O'Reilly under the anchor desk each week just prior to his regular appearance on The O'Reilly Factor (why do you think they call it "At Your Beck and Call"?). And you know what, I've set my staff about finding out the truth, and they can't disprove it! We'll get back to you in about four weeks with the real scoop on that one. Have lots of brain bleach handy. In the meantime, we'll repeat this several times: We hear Beck fellates BillO, and we can't disprove it! I was interviewed Thursday by Anderson Cooper about "lone wolf" domestic terrorism like the Holocaust Museum shooting on Wednesday. We bounced a little off my new book, The Eliminationists: How Hate Talk Radicalized the American Right, but mostly discussed much of the same material I covered in my post on "lone wolves yesterday. When the Department of Homeland Security issued that law-enforcement bulletin on right-wing extremists two months ago, the mainstream right's chief shrieking point was that somehow the bulletin had conflated them with the extremist right-wingers. Some typical headlines: "DHS Report Labels Conservatives as Radical Extremists". "The DHS Declares Everyone In America Is A Domestic Terrorist". "DHS To Target Conservatives." "New DHS Domestic Terrorism Report Targets Millions of Americans". And on and on. The upshot: Homeland Security was labeling conservatives America's chief terrorist threat. DHS/I&A assesses that lone wolves and small terrorist cells embracing violent rightwing extremist ideology are the most dangerous domestic terrorism threat in the United States. Information from law enforcement and nongovernmental organizations indicates lone wolves and small terrorist cells have shown intent—and, in some cases, the capability—to commit violent acts. [..] DHS/I&A has concluded that white supremacist lone wolves pose the most significant domestic terrorist threat because of their low profile and autonomy—separate from any formalized group—which hampers warning efforts. [..] Similarly, recent state and municipal law enforcement reporting has warned of the dangers of rightwing extremists embracing the tactics of “leaderless resistance” and of lone wolves carrying out acts of violence. Now, here's the odd thing about "lone wolves": Right-wingers like to use the solitary nature of this kind of terrorist act to dismiss them as "isolated incidents." But in reality, the continuing existence of acts of this nature demonstrates primarily that the radical right in America is alive, well, and functioning better than it should. And the continuing -- and as we've seen this week, ultimately futile -- attempts by the right to whitewash their existence from the public consciousness have played no small part in helping that trend continue. Watch the above video for an instructive comparison in how this is handled by a right-winger like Fox's Bill O'Reilly, and a more rational, rather centrist approach taken by Anderson Cooper and his guests on AC360 last night. O'Reilly declares the matter over -- move along, move along -- because this was just a "lone nutcase." Meanwhile, Cooper and the SPLC's Mark Potok and anti-racist activist David Gletty have a thorough an rational discussion of what lone wolves are about. As Potok explains, the "lone wolf" concept was popularized in the late 1980s by an Aryan Nations leader named Louis Beam as an extension of his strategy of "leaderless resistance." One white supremacist, a fellow named Alex Curtis, even went so far as to develop a "point system" for lone wolves. 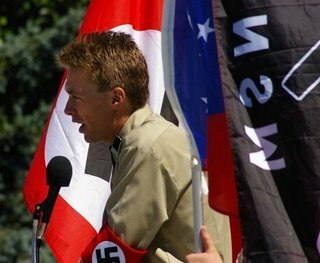 The idea was popularized by Louis Beam, the self-described ambassador-at-large, staff propagandist, and "computer terrorist to the Chosen" for Aryan Nations, an American neo-Nazi group. Beam writes that hierarchical organization is extremely dangerous for insurgents, especially in "technologically advanced societies where electronic surveillance can often penetrate the structure, revealing its chain of command." In leaderless organizations, however, "individuals and groups operate independently of each other, and never report to a central headquarters or single leader for direction or instruction, as would those who belong to a typical pyramid organization." Leaders do not issue orders or pay operatives; instead, they inspire small cells or individuals to take action on their own initiative. There has been no dearth of lone wolves in the years since Beam set the strategy for the radical right: Eric Rudolph. Buford Furrow. Benjamin Smith. James Kopp. Jim David Adkisson. And now add Scott Roeder and James von Brunn to the list. That's quite a trail of "isolated incidents," isn't it? It's isolated in the sense that this guy was a lone wolf, certainly in that he acted alone, but he's part of a movement of anti-Semites and Holocaust deniers. He lists major Holocaust-denier groups on his Web site and how there is going to be a major Holocaust-denial conference on July 25 in Orange County, Calif. He may have acted like a lone wolf, but he is part of a movement. Are attacks like this simply desperate one-time acts? Within the white-supremacist movement there is a strong notion of leaderless resistance. The notion is this: look, we can take over the country just by having small cells or lone wolves commit key acts of violence because the rest of the country, at least the whites, will then go along with you. It's called the "propaganda of the deed"—you know who the enemies are, you go out yourself and hopefully people will take notice and act together in resistance. These ideas were promoted by Louis Beam, a KKK member, and published in The Seditionist, his newsletter, in the early '90s. It came out around 1991, but the idea has been pushed in the white-supremacist movement for a long time since. He has been a big influence on the white-supremacist movement. He's a very scary guy. He was noteworthy because he was also part of the militia movement in the '90s. He's not the inventor of leaderless resistance, but he's remembered for being the most important modern proponent of leaderless resistance in the neo-Nazi world. So when Bill O'Reilly shrugs the Holocaust Museum shooting off onto the dustbin of that lengthening list of "isolated incidents," you have to ask yourself why. After all, a "lone wolf" just rid him of that meddlesome doctor, didn't he? Funny how conveniently that works out for O'Reilly. No, this is not a satire, though it took about 30 seconds of watching to figure that out. It's Fred Phelps' followers, harmoniously and deleriously smiling as they inform us that God Hates The World. Their obvious joy in delivering this news is, well, creepy. What I want to know is: If it's too late to change his mind, why bother?